You must make reservations at least 5 minutes in advance of the time at Chelsea Corner. We offer valet parking Tuesday - Sunday. Originally opened in 1974, Chelsea Corner is once again in its original location on the iconic corner of McKinney Avenue & Monticello. Our historic building was first constructed in 1926 and has been completely restored over the past year. With a focus on its rich heritage and our intent to establish an iconic and long-lasting Dallas landmark - Chelsea Corner will be something truly special within Dallas's flourishing Knox Neighborhood. 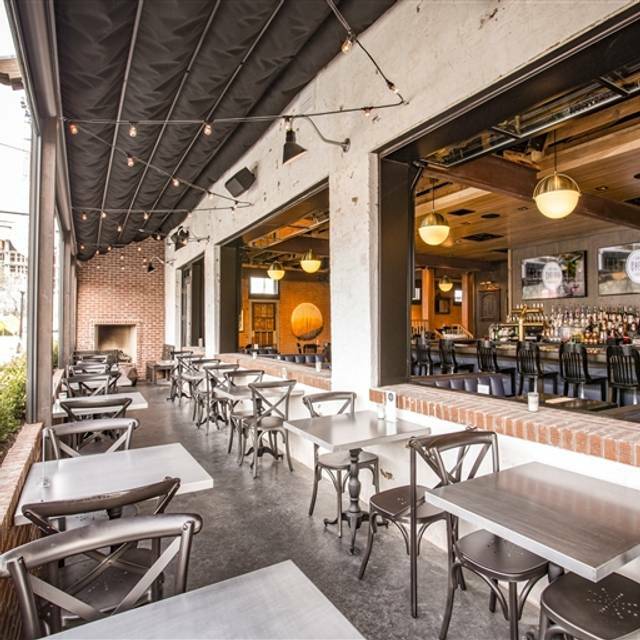 We invite friends new and old to join us while savoring incredible fare inspired by one of Dallas' most beloved Chefs (#chefwithnoname), watching sports on our 15 screens, or sipping one of our specialty cocktails on one of our (2) climate controlled garden patios. Our team is looking forward to serving you. Come say hello soon. For parties of 10 or more, a gratuity of 20% will be added. * Consuming raw or undercooked meats, poultry, seafood, shellfish, or eggs may increase your risk of foodborne illness, especially if you have a medical condition. Our kitchen and bar uses nuts, dairy, eggs and gluten. When I first starting coming to Chelsea's Corner after the re-open, I thought the food was good. Nothing really memorable but as of recently it has become a regular dining spot for me. Whats most impressive is that the menu has expanded greatly and every item I've tried (which is a lot) is now very memorable! That is very challenging to achieve in the restaurant business and my hat is off to the chef and his team. You must try the shishito peppers, hangover nachos, and all of the sandwiches and pizza. In addition to the deliciousness of the food, I am very amazed by the Bourbon Selection the bar has to offer. I am a bourbon collector and have never seen a list that has every single bourbon that I either have locked up at home, but also on my bourbon bucket list. You simply cannot find 50% of their Bourbon and Whiskey on any shelf in Dallas. And I must say their pricing is VERY competitive to other higher end restaurants in town. Chelsea's Corner has evolved into a concept that foodies and bourbon aficionados dream of. Oh and the atmosphere is super upbeat/fun and the backyard is truly one of kind. You will just have to pay a visit to see it with your own eyes! Our waiter was great! Very friendly, so helpful! Our water glasses stayed full the entire time which was very appreciated! Great service! Wonderful ambiance for brunch! Food was average but our server was great! Would recommend to friends looking for a hang-out over drinks type brunch over an amazing eats place. Great local place for good casual food, great service, nice people and perfect for a supper with friends. We have been a couple of times and each time are so pleased with the food and the service. We'll go back! Chelsea Corner is THE spot for a nice brunch. 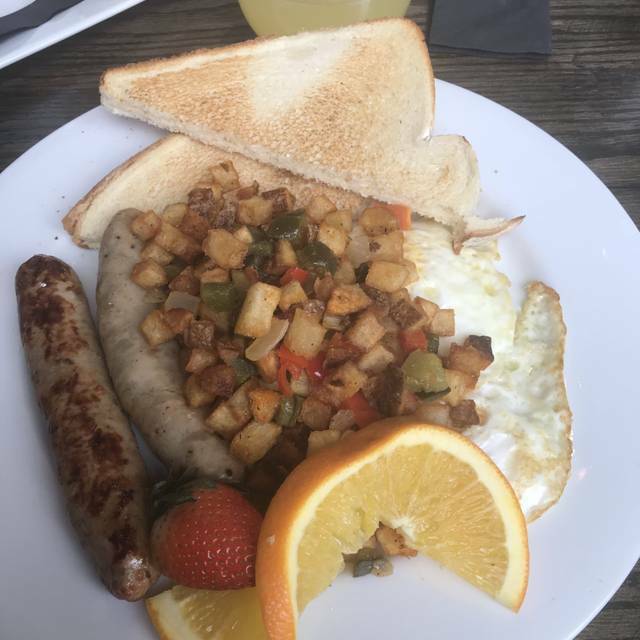 The food is good, the service is excellent and the mimosas are great! Mainly because you get to make them yourself. I will keep coming back here until one of those things changes. Food and ambiance is always great. Today the service was awful. The server could care less. He got our order wrong, didn’t ask how our food was one arrived and never smiled. Not the typical experience at Chelsea’s! Chelsea Corner is strikingly average. It's pretty crowded on the weekend so don't go there unless you like big crowds. If you're going there just for dinner, the food is decent. If you're going for the bar scene you may not be disappointed. The biggest complaint I have is parking. There is no handicap parking at all and the restaurant can be inaccessible as the valets block the ramps and access most of the time. So if you have mobility issues, this is a "stay away from" type of place. Food and service were both very good. Would definitely go back again. From the moment we sat down we felt rushed. It was a Saturday date night with my husband and we were looking forward to a fun evening trying a new restaurant. We ordered the meat and cheese board, which was a big disappointment. There was more fruit and dried fruit (who wants dried apricots) than there was meat and cheese. It was not very good quality meat as well. We then decided to order the lobster crab cakes, those were delicious. However because we felt so rushed by the server we decided to go elsewhere. My husband works a lot and we did not want to feel like the server was annoyed by the amount of time we were there. I am not sure if I would try this establishment again. Guys behind the bar were great. Food was great. Only issue was I got over billed. Working on getting resolved. Nice ambience. Friendly staff and food was excellent. We came here to watch the Sugar Bowl and it was great - they played the game over the speakers so it was awesome to be able to hear while watching - and the food/atmosphere is great. Recommend for lots of occasions - brunch, dinner before going out, watching sports, going out - I've even had a book club meeting here over brunch. I'm a frequent visitor and will continue to return! Alex, our server, was great. She was so friendly and fun. Shouldn’t be using plastic solo cups for drinks - come on. And had to go up to bar for refills. If you use solo don’t charge so much for the drinks. The worse level of noise level is " energetic?! No, the worst level possible was cacophony. Deadly . Ridiculous. There is no need for people to shout in a restaurant. Walked in, checked in, looked at the table, excused ourselves, said thank you to the hostess, and left. Not to go back again unless it is an off time. Burgers were delicious!!! Brussel Sprouts and Egg Rolls were tasty and I’d definitely order again. Service was really good, our waiter was very attentive. Lighting was pretty dim, so we had to use our cell phone lights to see the menu. I’d definitely go back again. Great food, great service. Limited food menu but amazing specials. It is my second time going here and I was not disappointed. Hannah took good care of our table (friend’s get-together) making the experience even better. This is a great place to have good brunch and hang out with friends. I’ll definitely be going back. First time there and I wasn’t impressed. 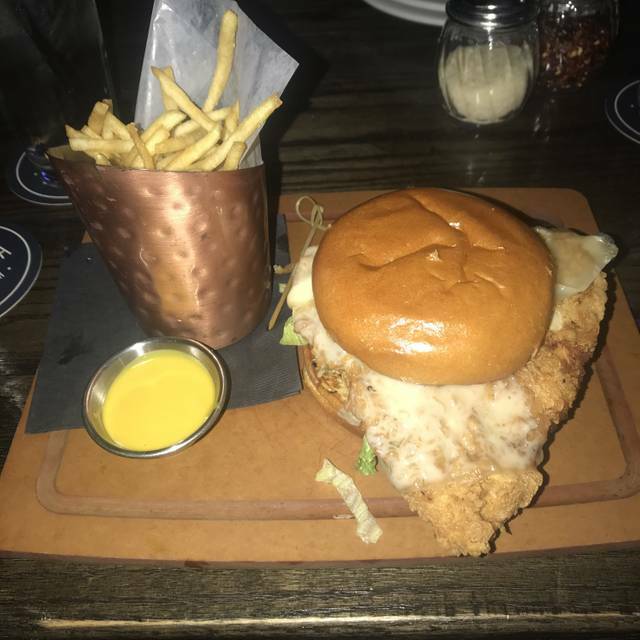 Only thing good was the cocktail I ordered. In Our section there were so many knats flying around our food so that didn’t help. It was wonderful as always. Brunch here is great. I had the lobster and crab cakes. Margaritas were great also. We had not been to Chelses Corner in years and boy has it changed for the better. We sat in the Garden Room which was bright and quiet. Our service was prompt and professional. We had the Mimosas, entire bottle of champagne with oj on the side (Cranberry or Pineapple juice if you prefer). We split the Beignets with Lemon Curd which were still warm and delicious. My husband had the Lobster and Crab Cakes Hollandaise and loved it. I had the Farmers Breakfast and it was perfectly prepared. We thought the entire meal was terrific. We look forward to going back soon! Went there for brunch and it was so good! Really great service and great food/drinks. The food is great. 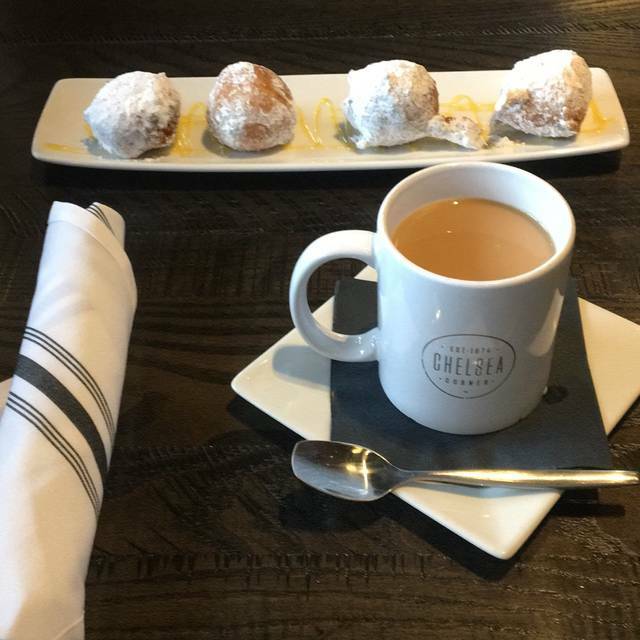 The beignets are to die for!! Only down side was that we went for brunch and it definitely smelled like a bar. The staff was attentive and the food was served in a timely manner. I have already recommended this restaurant to a few friends that live in the area. We were a table of two relatively early on a Sunday morning with a limited number of other patrons in the restaurant. We were seated at a table by the swinging doors to the kitchen, even though there were many other open tables. There were a number of waitstaff in the restaurant, but not one, including our waiter, stopped by to check to see if we wanted more coffee, if our meals were to our satisfaction (which they were), or to provide silverware since ours had been removed with our starter. The food was very tasty, but the service was lackluster at best. Don’t come here. There are other places in Dallas that are just as cute, but have better service and better quality food. If you literally have been everywhere else and want to try somewhere else, then yes come. But otherwise save your time. The food, the service and the ambiance were all great. Very casual and a great value for the quality of the food and service! It was our first time there, but it won't be our last! Food was great. Very upscale for what looks like a bar. Chelsea Corner was a great find. Very unexpected. Food was very good, good service and next time we will sit outside and take it all in. A definite return visit. 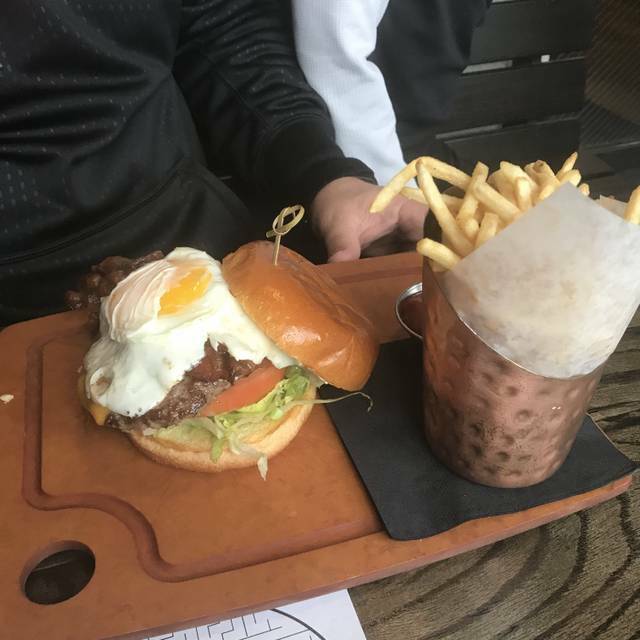 Our server was new but he did good! Everyone was really nice and welcoming. Good food. Food is always great and they have a good drink menu. We sat on the patio which would have been great except for the screeching chairs— when anyone moved them, they scraped on the floor loudly. The acoustics in that space is was not great. Otherwise, we brought friend who had never been there and they enjoyed it! Service needs a lot of improvement - from the hostess to the waiters.